"The Houseless" at Emerson Street & Mills Way, Norfolk, Conn. The rising "Houseless" epidemic is alarming in the United States of America. Some play the system, while others find themselves in predicaments living rough and/or without shelter, but are "The Houseless" actually being dealt with in humanly fair and respected regards? A TRUE story is unfolding right as you read this where a man who was forced "Houseless", abused repeatedly, taken advantage of, everything taken, and even faced death, meets more abuses from those in a small town in Connecticut. Not all mind you, but those who aren't being abusive and/or of wrongs aren't the ones who put on masks of good only to be removed exposing faux compassion. These same people put themselves forward to get a way to go "Humanitarian" pat on the back; are active in soliciting for your time/funds/property so they can be with faux righteousness unto "The Houseless". DO NOT be fooled though! Norfolk, Conn. is the place of a most recent attack on "The Houseless". It's home to Infinity Hall, Yale summer school of Art & Music and Haystack Mountain, to name a few. Humanitarian apparently doen't mean "humanitarian when it comes to Kirk Sinclair who self pronounces himself as "The Hiking Humanitarian"
Many questions will be raised on why Nels White who professes himself about as a righteous man who lives in a 3 level, 3 bath house at 23 Emerson Street in Norfolk, Connecticut makes false, misleading and/or erroneous calls to police to have "The Houseless" removed from view of his residence. 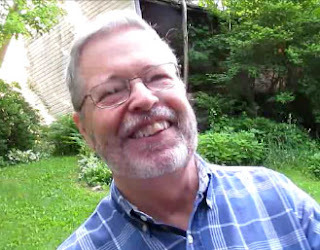 Did Nels White witness Cindy Sinclair abuse "The Houseless" and even stated he would lie? More on this and him, so stay focused here. No where to go, but being wrongfully forced out of sight? WHY? Why have at least 5 Connecticut State Trooper patrol cars - since this horrible abuse began on or about 22 June 2013 and not all at once - been dispatched to "The Houseless" whom they have checked out forwards and backwards, yet can't find him guilty of a crime, being harassed and/or further abused? Why is "The Houseless" being manipulated to move-on, get out of site and/or hide in the forest? Could a reason be as with many communities across the US be that they don't want the problem to be theirs and/or known right in ones face, yet want to PIMP "The Houseless" for profit/gain/control? Why does Nels White request Connecticut State Troopers do harm unto "The Houseless"? This is a man who is all too open about expressing how "Christian" he is and how right he is. Hey Nels White, maybe you need to study the real written words of Abba, Elohiym's Scripture, not the prostrated version you follow which is guiding you into the abyss. And why aren't "The Houseless" given the same rights and/or respect that citizens in the United States of America demand and get? Isn't the only difference being that the have-less, haves, have more and have most can reach into their pocket or purse and pay? This is even more prevalent these days and especially in regards, yes especially, to ALL United States of America's Veterans? 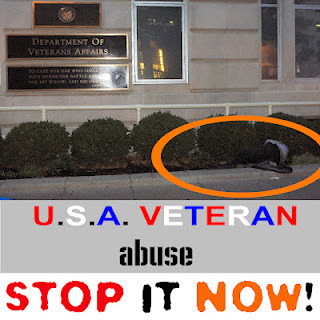 In my estimation, there shouldn't be NOT 1 United States of America Veteran being forced to live rough unless he or she seeks to do so, but given that ALL too many U.S.A. citizens live for the me, me, me and the mine, mine, mine - not just those being called the top 1% - and/or PIMP others for their fundraisers, and/or a "feel good" feeling for ones self, men and women Veterans all across the United States of America are all but forgotten in real time for their service unto these United States of America and to those who demand life, liberty and the pursuit of happiness. This MUST Stop and stop now! The aforementioned abuse is still developing, so please check back to know of more details, watch video of Cindy Sinclair charging "The Houseless" with even admitting to the local resident Connecticut State Trooper of putting hands on "The Houseless", yet "The Houseless" get harassed further. 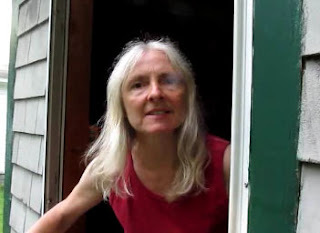 Cindy Sinclair, wife to Kirk Sinclair, self proclaimed "Hiking Humanitarian" spewing hate unto "The Houseless"
Nels White expressing his excitement and satisfaction with taking part in abuses unto "The Houseless"
23 Emerson Street, Norfolk, Conn., NOT "Houseless" Nels & Phyllis White who although claiming to be "Christians" abuse "The Houseless"
More, yes much more to come with those who shun "The Houseless", yet control the local government and more!